Former Liberal MP Raj Grewal rises in the House of Commons in Ottawa on June 3, 2016. Liberal MP Raj Grewal publicly questioned senior officials in the RCMP and other law-enforcement agencies about the way they investigate money laundering earlier this year, at the same time as the Mounties were probing his multimillion-dollar gambling activities and sought to determine the origin of the funds, records and sources say. 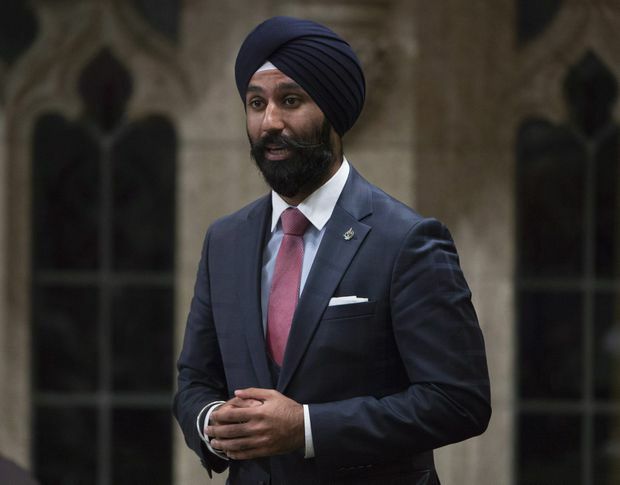 Mr. Grewal announced his retirement last week from the House of Commons, citing unspecified personal and medical issues. The Prime Minister’s Office said the next day that Mr. Grewal was leaving to deal with a gambling problem and significant personal debts. As of Tuesday afternoon, Mr. Grewal was still officially an MP and his exact resignation date remained unknown. Mr. Grewal’s questions piqued the interest of members of the RCMP, given that FINTRAC had already alerted the Mounties at that point to Mr. Grewal’s gambling activities, sources said. The RCMP is still investigating Mr. Grewal, said the sources, who were granted anonymity by The Globe and Mail to discuss confidential information they are not permitted to disclose. The sources have direct knowledge of the investigation. According to the sources, Mr. Grewal spent millions of dollars in total in the past three years, including at the Casino du Lac-Leamy across the Ottawa River from Parliament Hill. One of the sources said the investigation was prompted by the casino’s disclosure of the spending to FINTRAC, under which casinos must report transactions of more than $10,000 a day, which then reported it to the RCMP. The sources said the key issue for investigators at this point is the origin of the funds and whether Mr. Grewal met all of his reporting requirements to the Canada Revenue Agency and House of Commons. Mr. Grewal has not responded in recent days to messages left by phone, e-mail or through social media. Transcripts show that during the first half of the year, Mr. Grewal regularly took part in the finance committee’s review of the Proceeds of Crime (Money Laundering) and Terrorist Financing Act. He was also involved in early discussions about the committee’s draft report, which was released in November after he had been moved to fill a vacancy on the health committee. During the hearings on money laundering, Mr. Grewal was not present or did not ask questions of industry associations or outside experts. However, Mr. Grewal was interested in the ability of federal agencies to investigate and prosecute money-laundering activities, asking how many convictions were obtained in a given year. RCMP assistant commissioner Joanne Crampton said there was no exact figure, but added that 53 investigations were going on at the time. On a number of occasions, Mr. Grewal wondered whether the $10,000 limit was still appropriate or should be adjusted to keep up with inflation, as well as what would trigger an investigation of someone who had exceeded the limit and whether individuals know if they are under investigation. “How many resources does FINTRAC have to go after each little $10,000 transaction? If I’m money laundering, I’m not doing transactions in the millions to catch attention. I’m doing them at the $10,000, $15,000 limit to get away with it,” Mr. Grewal said on Feb. 8. Ms. Ryan answered that FINTRAC lets police forces determine what to do with the information they receive from the agency. On Feb. 26, Mr. Grewal asked officials from the RCMP and Canadian Security Intelligence Service (CSIS), among others, about the information that they receive from FINTRAC. “How is the data collection by FINTRAC? Is it easily accessible when they’re submitting data to you guys? Can you guys slice and dice it the way you need to, or are there shortcomings that we could improve on the FINTRAC side?” he asked. On May 24, he asked FINTRAC officials about their ability to decide which transactions – out of the 19 million that they analyze every year – deserve special attention. Barry MacKillop, deputy director of operations at FINTRAC, answered that the agency made more than 2,000 disclosures to different police forces last year based on its analysis of all transactions.